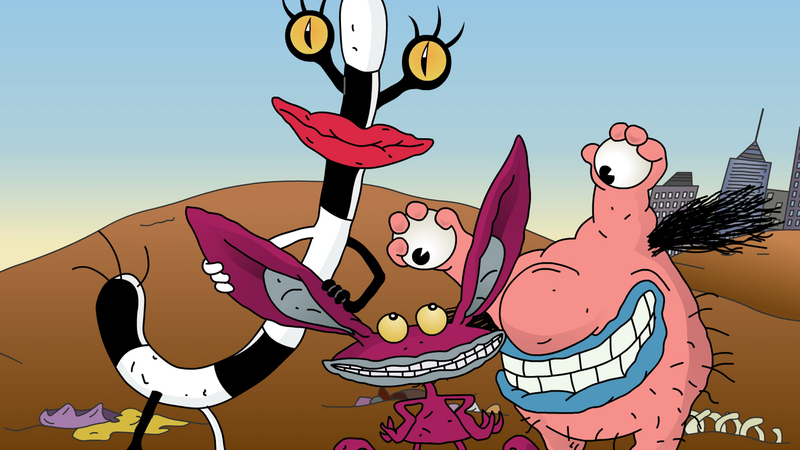 Краткое описание: In this game, based on popular Nickelodeon comics, you control three monsters: Ickis, Oblina, and Krumm. 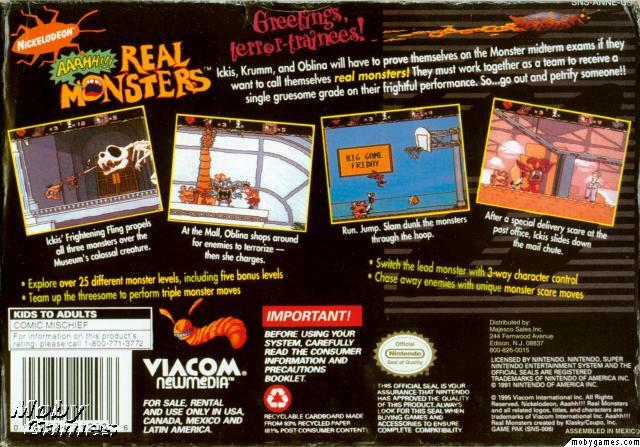 The Gromble, a headmaster in monster school, needs you to perform the final test - monster Midterm Exam - in order to prove yourselves to be real monsters. You should collect trash, throw it on people, and scare them! 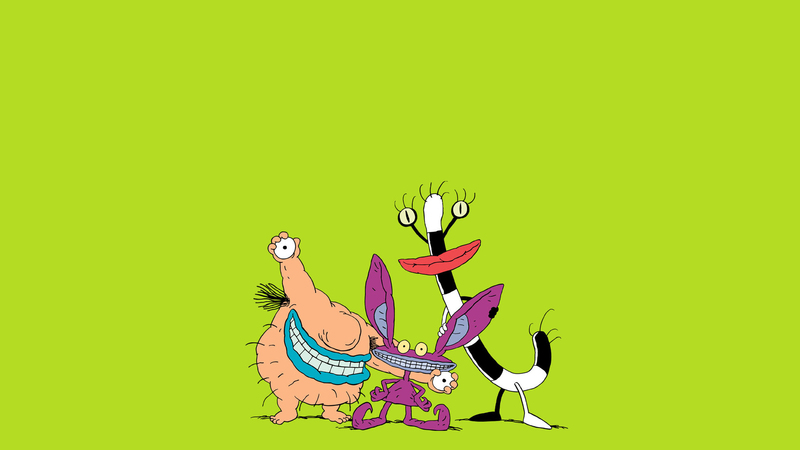 In this game, based on popular Nickelodeon comics, you control three monsters: Ickis, Oblina, and Krumm. 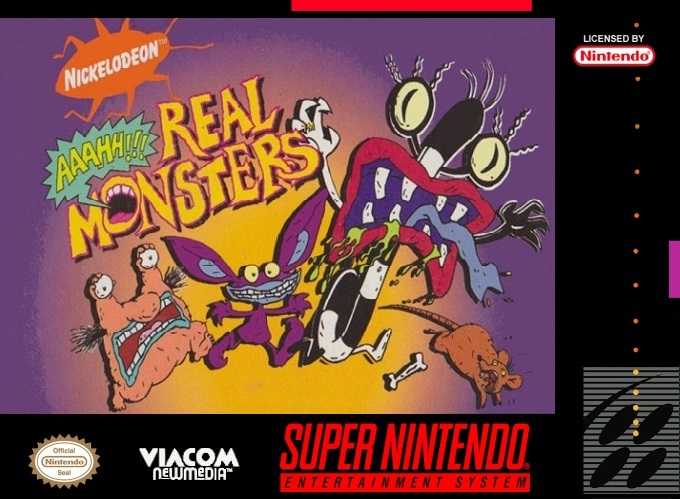 The Gromble, a headmaster in monster school, needs you to perform the final test - monster Midterm Exam - in order to prove yourselves to be real monsters. You should collect trash, throw it on people, and scare them!